Speakers active or passive: what's the difference? What music fan doesn't dream to have his equipment to listen to music was perfect? All the acoustic systems promise Paradise pleasure, and powerful sound, but to choose between them, you first need to decide whether passive or active subwoofer you need. The subwoofer is a special extra column, which deals with low frequency reproduction. Ordinary speakers contain speakers responsible for medium and high frequencies. Even if your speakers are hung on walls or stand on the table, the subwoofer is still better to put on the floor, it will improve the bass. 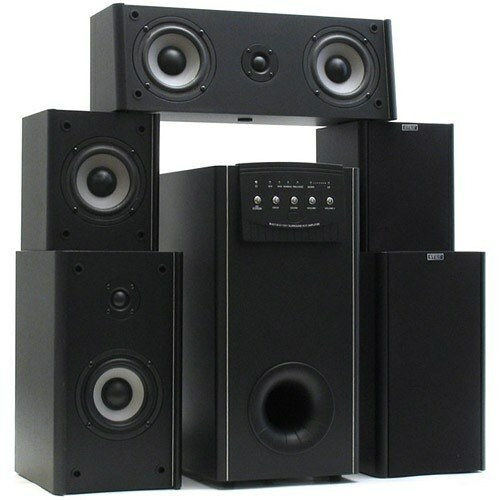 But, buying a powerful subwoofer, it is important to ensure that your love of beauty shared by the neighbors below. A passive subwoofer is quite simple. In his case contains one or more low frequency of "heads" that connect to an external amplifier. Passive subwoofers are of two types. The device of the first type differs in that the stereo amplifier the signal simultaneously to the speakers at all frequencies. Thus, speakers should reproduce all frequencies, including extrinsic and the sound is unclear. The second type is a passive subwoofer equipped with an additional electronic security filter, which sorts the frequencies, so each speaker receives only the corresponding signal. An active subwoofer contains everything at once: there is the crossover, and its own amplifier. On the device you can find a variety of linear inputs and outputs, and regulators of the frequency of separation and tuning signal levels for various frequencies. Active subwoofer is often the preferred option, as it gives a good sound thanks to the expansion of the dynamic range of the acoustic system. If you want to connect everything, and that the system once worked fine, without any additional settings or other actions, then select an active subwoofer. Standard configuration the device is not in most cases satisfy the heavy sound or dance music, deep bass frequencies are passed. In addition, active subwoofer already has an amplifier, and you don't need to care about it. But if you are able do to do a good job setting up your speakers (and willing to understand it), then your choice may well be a passive subwoofer. Expensive and quality sound system professional passive subwoofer allows you to adjust the sound much more fully than with an active subwoofer. Despite the fact that the setup can be quite laborious and difficult, and need to feel the music to handle, still, true lovers of good sound, often choose this option. To summarize, we can say that accurate and very high quality setting passive subwoofer allows you to get a much more solid and dense sound than speaker system with active subwoofer. But the latest version has good sound from the start and it is noticeably better than a cheap passive subwoofer.